Picked up this excellent GMTII C to wear on and off. I have been sporting a Breitling Super Avenger for the past 3 years. 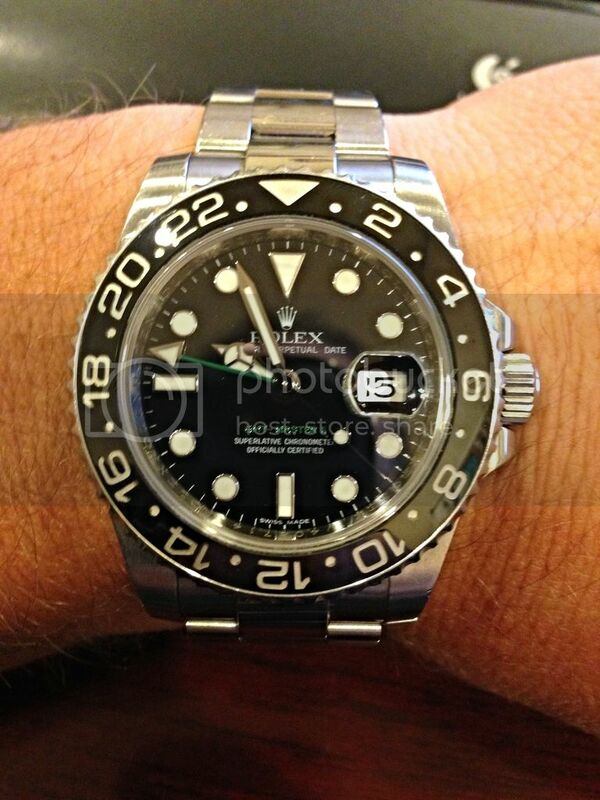 The Rolex is taking time to adjust to since the Super avenger is a 48mm!